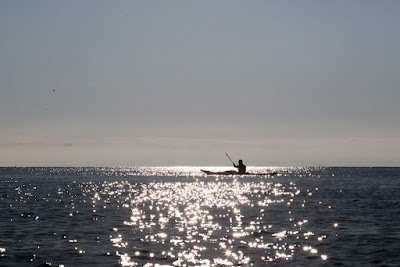 We paddled down the Machars peninsula and across Monreith Bay. 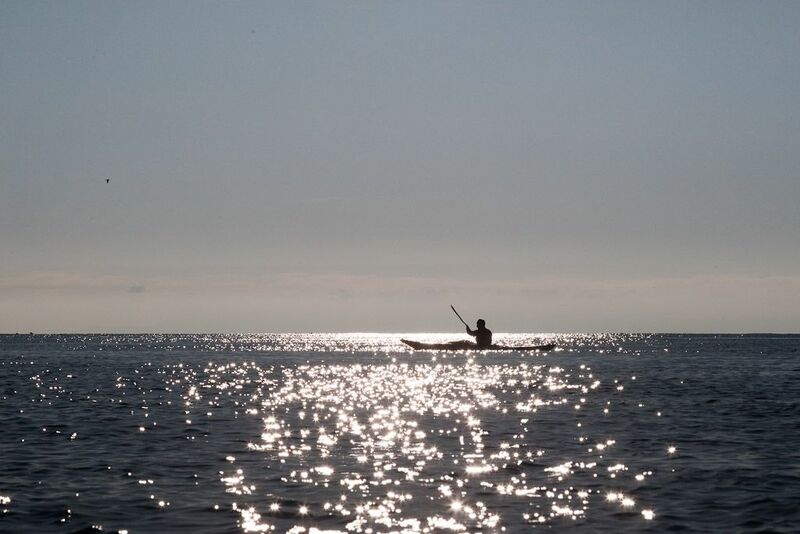 Phil's silhouette was ringed by the bright water of Luce Bay. 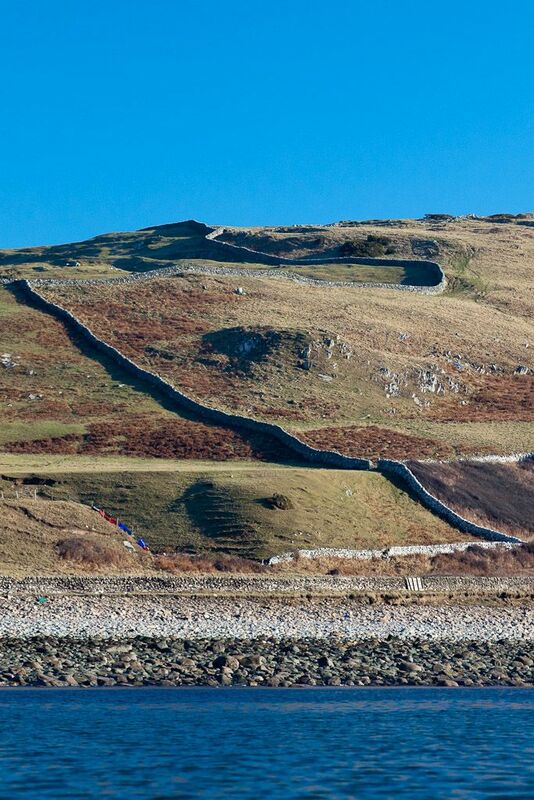 Crazy drystone dykes marched across the Galloway hillsides and raised beaches. 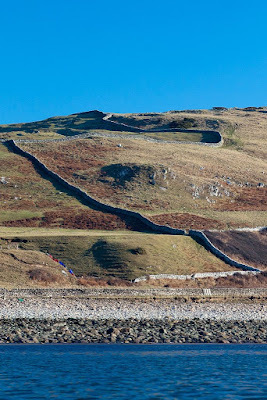 I have already mentioned that Port William was planned by Sir William Maxwell. One of his descendants, Gavin Maxwell, fisherman, turned naturalist, then author, was brought up in Elrig, just north of Port William. His books included; The House of Elrig and Ring of Bright Water. 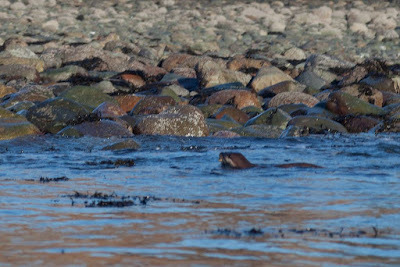 This is the story of Edal, an otter he brought from Iraq to Sandaig on the remote north west of Scotland. He was less fond of basking sharks than he was of otters. He established a shark fishery on the island of Soay, south of Skye. By the time he had finished, he had exterminated just about all the basking sharks on the west coast. To commemorate this son of Galloway, a brass otter has been placed on the cliff top high above Monreith Bay. 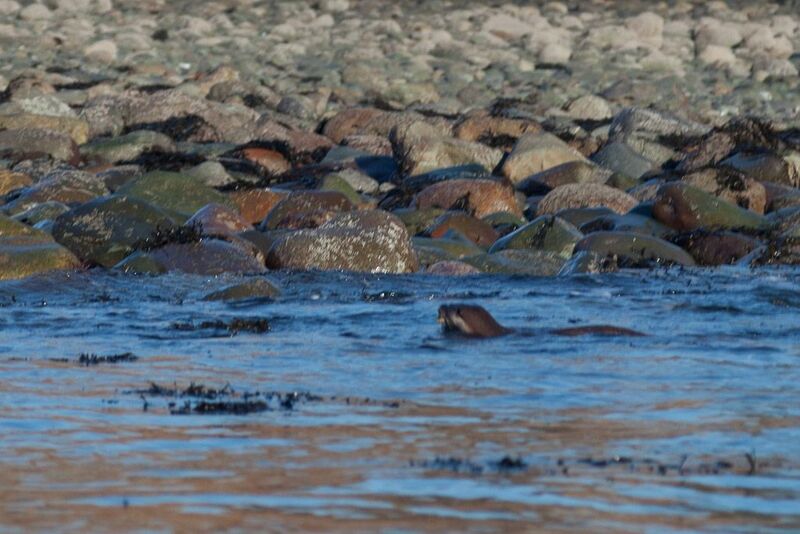 Right on cue, this fine otter surfaced as we passed below Maxwell's memorial. 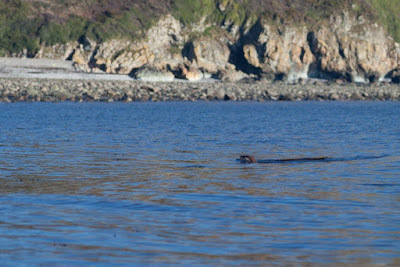 It had a crab in its mouth and I heard the crunch of shell as the otter swam past to lunch on the rocks.